Wyndover Bay is a neighborhood of Newport Beach real estate located in one of the finest and ideal guarded and gated communities in Newport Beach, California. Just a few minutes walk away is Fashion Island with its world-class dining and shopping, placing these Newport Beach homes for sale in a great location. The Homeowners Association includes an Olympic-size pool, kid’s pool, tennis courts, a playground and a BBQ area for entertaining. 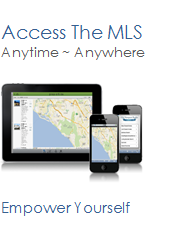 See all Wyndover Bay Newport Beach Homes For Sale.